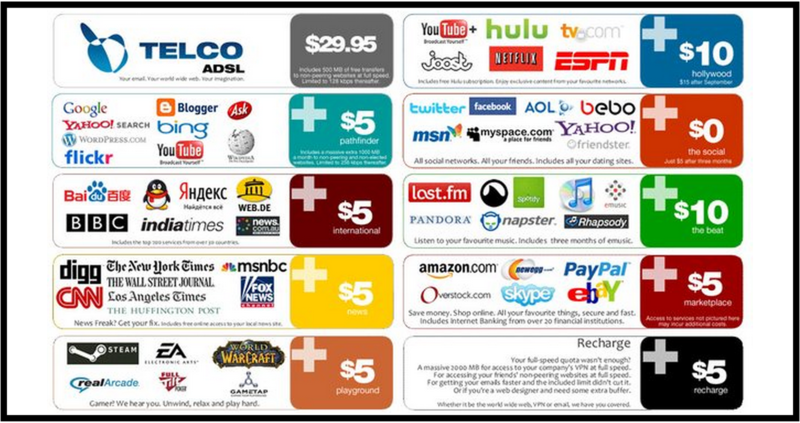 Since 2006, Net Neutrality activists have been warning that a non-Neutral internet will be an invitation to ISPs to create "plans" where you have to choose which established services you can access, shutting out new entrants to the market and allowing the companies with the deepest pockets to permanently dominate the internet. The fanciful graphics depicting this neutracidal apocalypse have been made and remade in the years since. 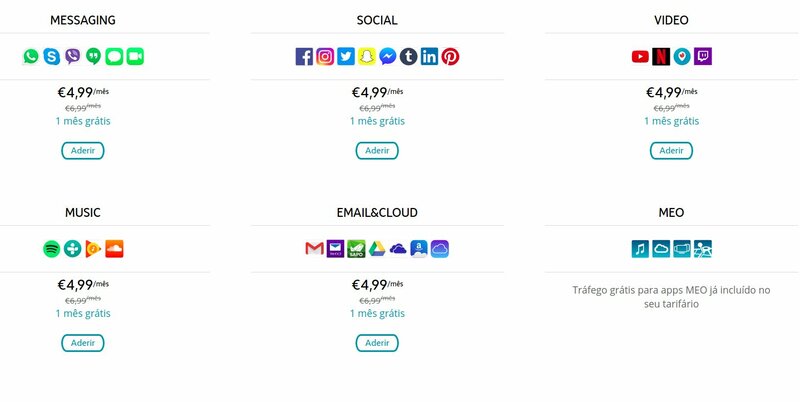 But these aren't just design fiction: the Portuguese non-neutral ISP MEO has mistaken a warning for a suggestion, and offers a series of "plans" for its mobile data service where you pay €5 to access a handful of messaging services, €5 more to use social media; and €5 more for video-streaming services. Trump's FCC chairman Ajit Pai has publicly committed to ending network neutrality in America, and this is the system he's trying to create.